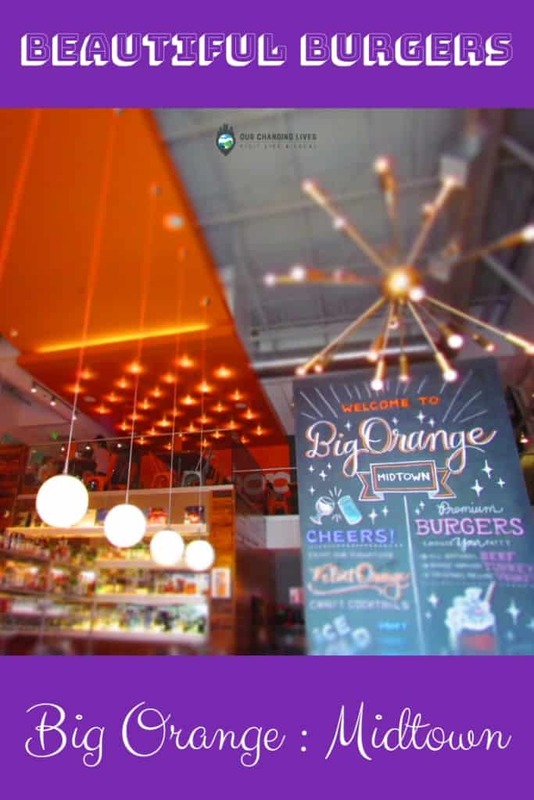 When we were planning our escape to Little Rock, Arkansas, the first restaurant that I selected was Big Orange in Midtown. From the moment we first saw the menu, it was a sure bet that this was a place that needed to be experienced. The photos we saw of their food looked incredible, and we were hopeful that it would be everything we had wished for. Little did we know that it would even surpass the high bar we had set prior to our arrival. We want to thank the Little Rock CVB for their hospitality. Rest assured that all opinions are our own. 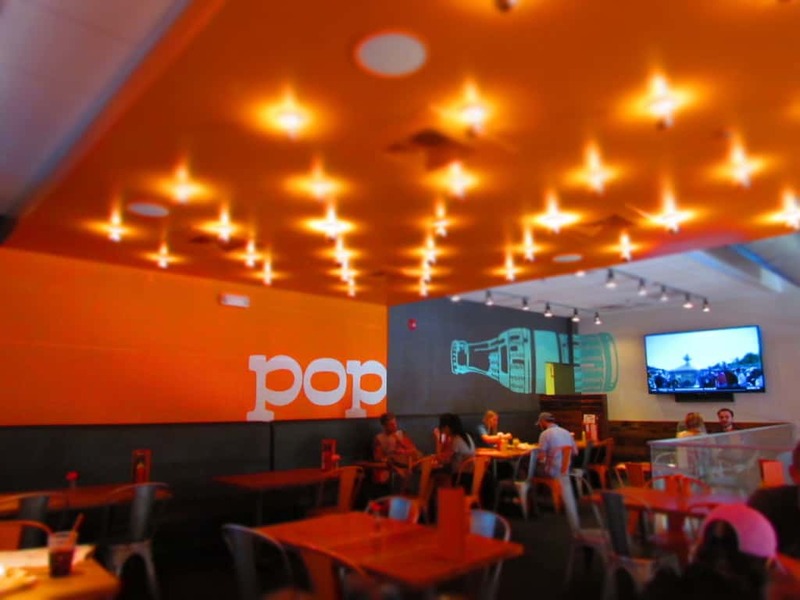 When we arrived at their Midtown location, it was apparent that it is a popular place. Even in the mid-afternoon, the parking lot was full. Stepping inside, we found that the place has lots of seating available, so we were immediately seated. We chose the main level, but I did sneak upstairs to see what we were missing. The bright colors and modern graphics continued up there. Looking over the railing provided a great view of the main floor. 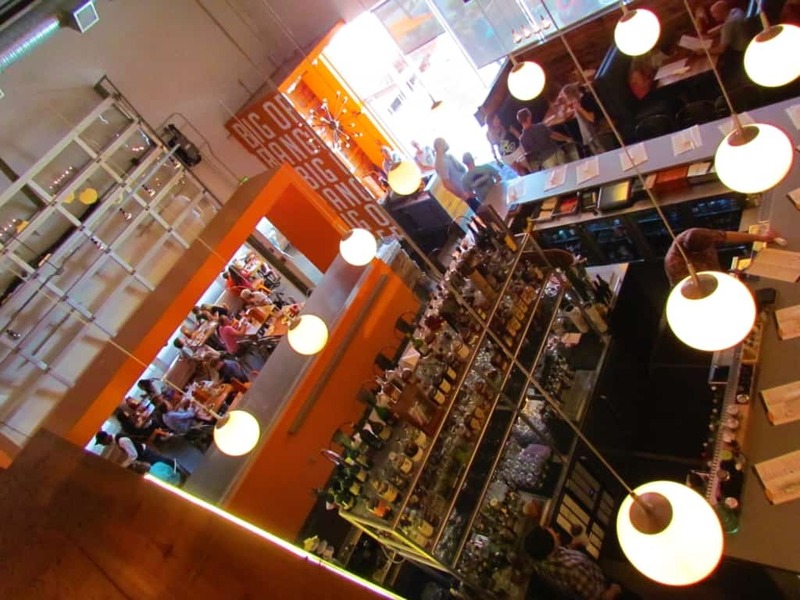 The large bar area has tons of seating and is flanked by a row of booths. The whole place has a bright color scheme, but it is done in a way that still feels inviting. After all, the color orange is proven to increase enthusiasm and attention. It certainly caught our attention, and we were definitely enthusiastic about the meal we were about to order. Returning to my seat, I found out that our server had already visited the table once. I hurriedly perused the menu, so we would be ready for her next stop. She saw my return and made her way over. We began discussing the menu choices, and she was very helpful in helping us pick the perfect lunches. 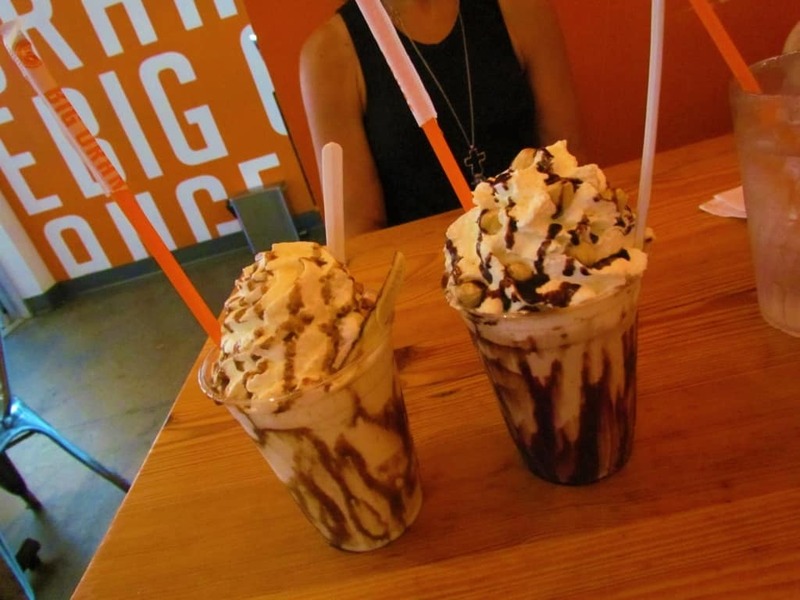 It was a sure thing that we would begin with a couple of their signature shakes. Crystal chose the PB & Chocolate shake, which is filled with dark chocolate and peanut butter. This combination is blended into the ice cream and then topped with whipped cream, peanuts, and more dark chocolate. It was a sweet tooth’s dream. Our server explained that there are also special shakes that do not appear on the regular menu, but will be offered periodically. The day we visited it was a Banana Fosters shake. This heavenly treat is made with caramel and banana infused ice cream. This is topped with whipped cream, more caramel, and decorated with a caramelized banana slice. Oh yeah, it was really as good as it sounds! When we discussed the menu with our server, we told her we were looking for burgers with beautiful presence. She assured us that every one of them on the menu were amazing to behold. This opened up our choices and challenged us to break out of our normal routine. Crystal shocked me, and probably herself, when she chose the Smashed Avocado Burger. This dish has mashed avocado, Havarti cheese, tomato, butter leaf lettuce, and a bell pepper mix. This was the real surprise, since Crystal has always been hesitant to eat peppers of any type. Topped with a swipe of garlic mayonnaise, the flavors worked so well together that she even ate the peppers. Shocker! 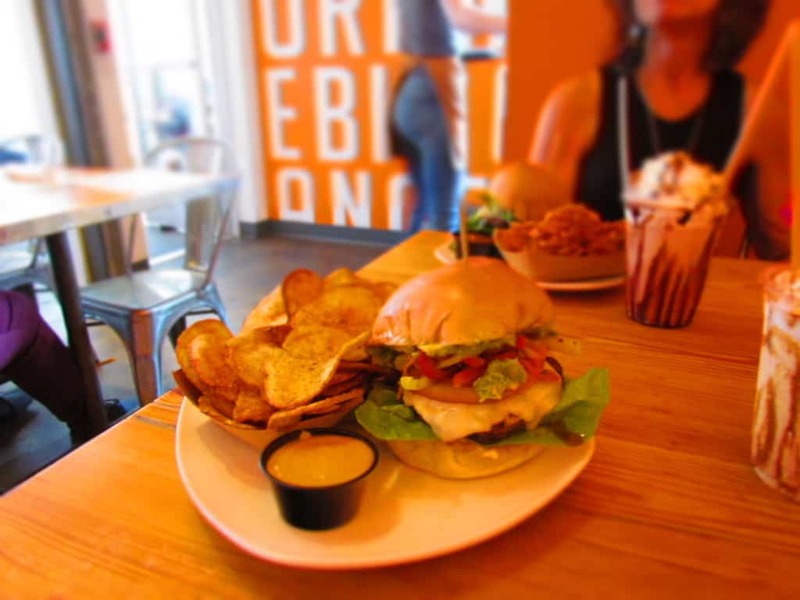 She chose the House-made Potato Chips, with Chipotle-Red Pepper mayo, for her side dish, but her focus was on her burger. With every burger having a special combination, I was struggling with choosing just one. Our server suggested the White Truffle & Pecorino Burger, so I went with it. The all-natural beef patty is topped with arugula, white truffle, mayo, fig jam, and salty, sharp Pecorino cheese. The mixture of sweet and salty accented the beef so well that I couldn’t get enough. I added Sweet Potato Fries for my side, which come with a Mango-Curry ketchup. 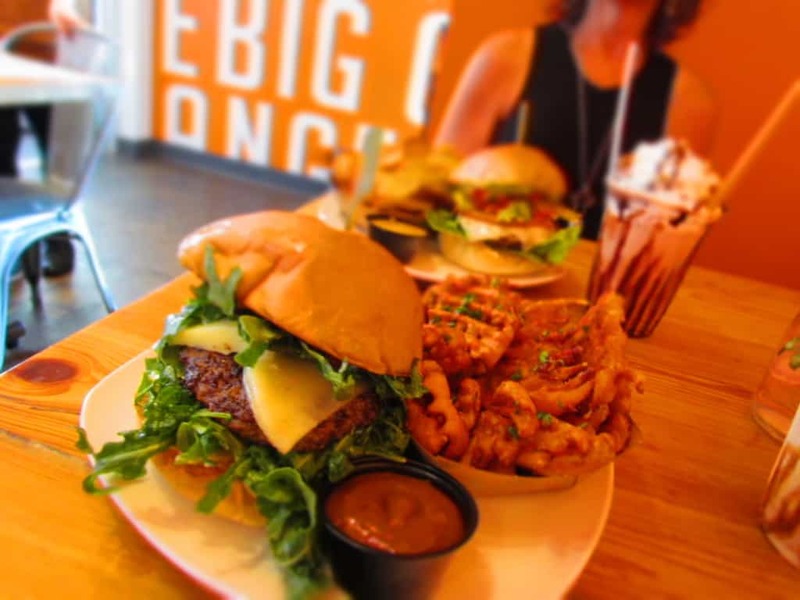 By the time we finished our shakes and burgers, we could barely make a dent in our sides. These meals are much larger than they look, but so good. The picture perfect presentation helped drive our appetites up, and probably added to us eating more than we normally would. 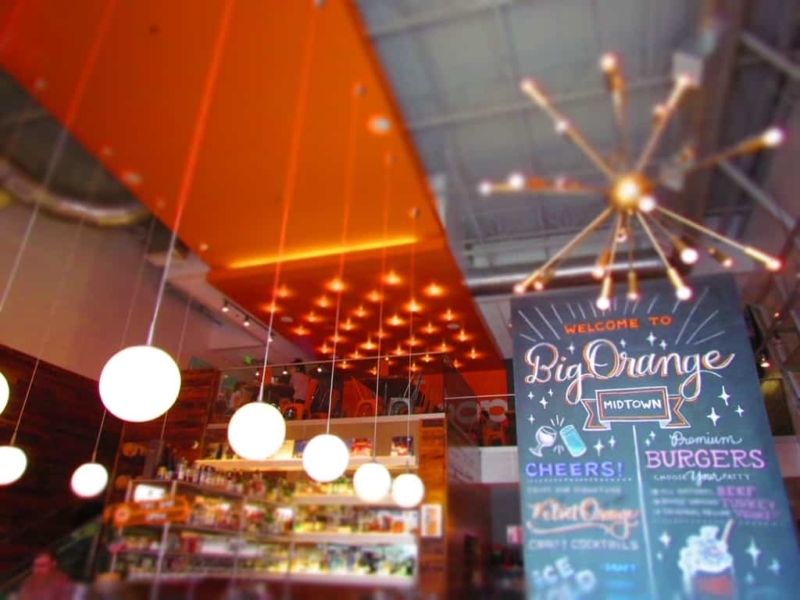 We left Big Orange totally satisfied and knowing that we had just dined on truly gourmet burgers. Have you ever had meals that looked this amazing? Share this with a couple of your burger loving friends!